Personal Trainers | Tanya Gets You Fit, Inc. Owner Tanya Ryan holds a College Degree in Applied Exercise Science. She also holds many certifications including AFAA, HCC, AAAI, PiYo, Pilates I & II, BOSU Conditioning also many more in Personal Training, Group Fitness, Fitness Consulting, and CPR/First Aid. Tanya instructs a large variety of Group Fitness classes, some include Boot Camp, Spinning, Strength, Cardio and Flexibility classes. Tanya has been in the fitness industry for over 10 years. Each year gaining more certifications and keeping the ones she has current by attending fitness conferences. Tanya loves being active and wants to help motivate people to love the same. With a strong passion for fitness and exercise, she wants to work with anyone whose goals are to enhance not only your knowledge on health and fitness, but to also achieve a healthier and stronger body. 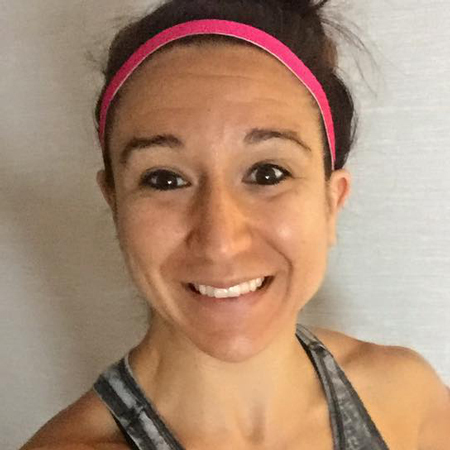 Amanda Lafleur of Granby, MA is a certified PiYO Live and AAAI Group Fitness Instructor. When she isn't attending classes or teaching she works full time as a paralegal at Bacon Wilson. P.C. in Springfield, MA. She graduated from Elms College with a bachelors degree in Legal Studies and an Advanced Paralegal Certificate. Amanda has struggled with her weight her entire life but through PiYO Live and TGYF she not only changed her body but has found confidence and a new found love for fitness. Diane Brown is a TGYF client turned instructor. You will often see her as a participant in many of TGYF 6am offerings. She is passionate about motivating people to help them get the most of their workout. An avid road cyclist, she can often be seen riding her bike around the Chicopee, South Hadley, Granby area. She has participated in many road cycling events including the Maine Lighthouse Ride, The Dempsey Challenge and The Outriders Annual Boston to Provincetown to name a few and looks forward to riding in many more. Diane is a corporate learning and development professional for a local company; she is a certified Schwinn Indoor Cycling instructor and is CPR & AED by the American Red Cross. She is hoping to earn more fitness training certifications in the future. Nicole Chivas has been a certified group exercise Instructor for four years through AFAA and is currently studying to become a certified personal trainer. She has her bachelors in nutrition in hopes to become a registered dietitian in the future. She enjoys teaching spin, and turn & burn. She is very passionate about helping others live happier, healthier lives. Nick Davis was born and raised in South Hadley and graduated from South Hadley High in 2008. He graduated from Westfield State University in 2013 with a Bachelors Degree in Movement Science. In 2016 Nick graduated with a Masters Degree in Sports Management from Springfield College. He's been coaching the boys cross country and track & field team at South Hadley High Schook since 2009 and has been the head coach since 2013. He also the Men's Head Cross Country and Track & Field Coach at Holyoke Community College. While Nick not working he loves running miles, exercising, taking my jeep in the woods, and spending time with family and friends. He is a Certified Strength and Conditioning Coach through the USTFCCCA.